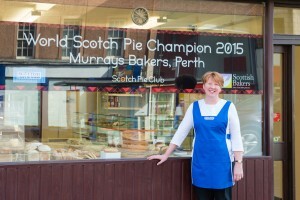 “I was 20 years old when I went to work in Murrays. 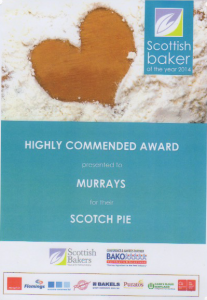 I had worked in the Royal Bank previously and was looking for another job, when my dad asked if I wanted to come and work at Murrays. 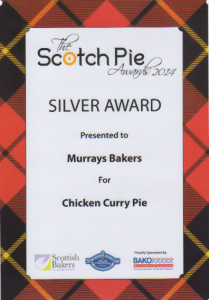 “Murrays was established by 1901 by my great Granddad John Murray (who was also a Baillie with the council and was known as Baillie John Murray), who came from Glasgow with a shilling in his pocket and started the business. 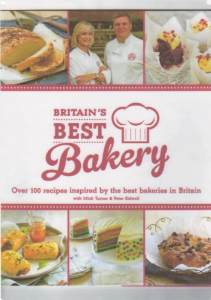 They were based on the corner of County Place/New Row, where Kings Fabrics is now. 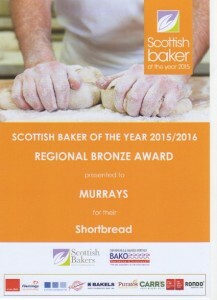 “Murrays Bakers remained there for 70 years until 1985 when we moved to 114 South Street where we are now. 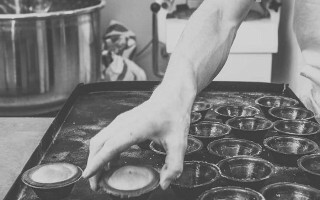 “My dad was what was called a Master Baker. 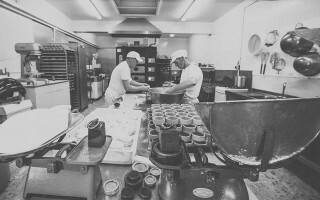 I went to work in the business in 1987 and later became dad’s partner. 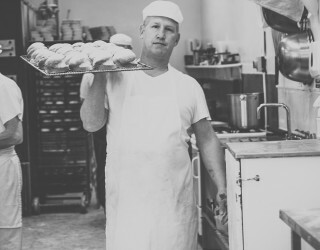 “Dad worked until he had a massive heart attack when he was 54, and was off work for 6 months. 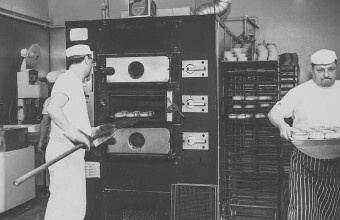 Once he recovered, he continued to work at the bakery until he was 63 when he had to undergo a quadruple bypass, finally retiring in 2000. 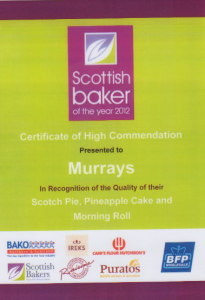 Following dads retirement I became a sole trader, then on the 1st June 2013 Murrays Bakery became a limited company. 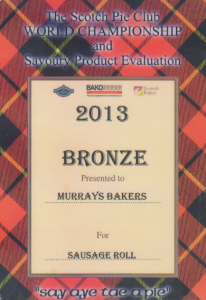 Sadly my dad passed away on 17 September 2013. 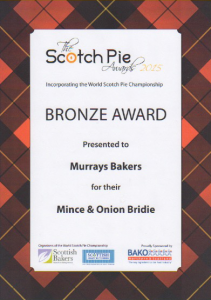 “Murrays and pies have always been synonymous. 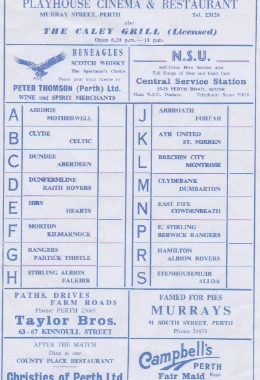 An advert dating back to 1968 for St Johnstone at Muirton Park has ‘famed for their scotch pies’ in the advert. 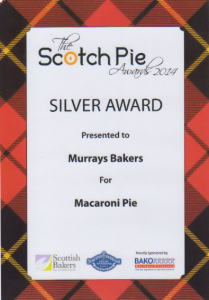 In the beginning Murrays did outside catering too. 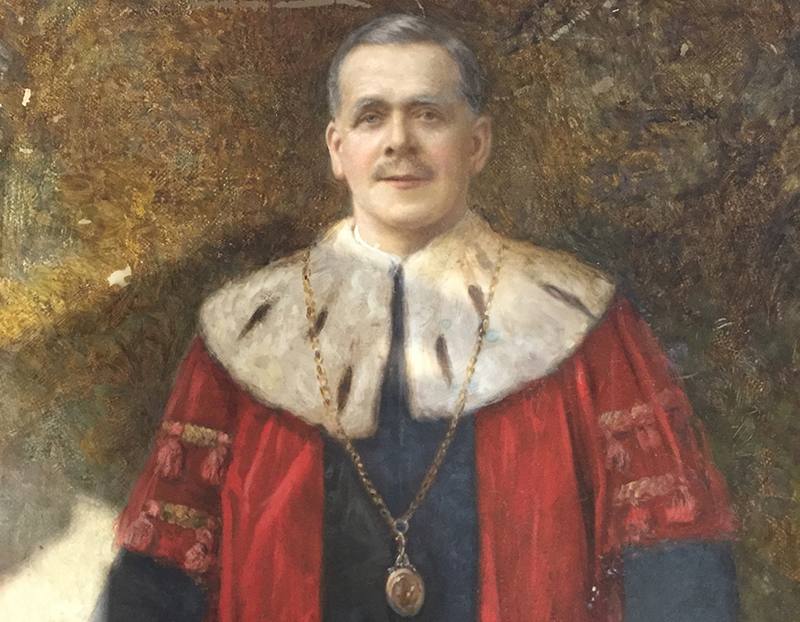 My granny used to tell me that they catered for all the Police balls in the City Hall back then. 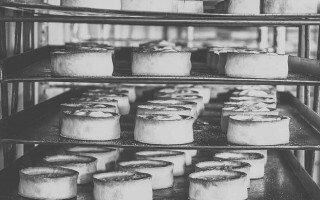 Afterwards the family would have to take all the dishes up three flights of stairs to their flat on County Place opposite the shop and wash them all. 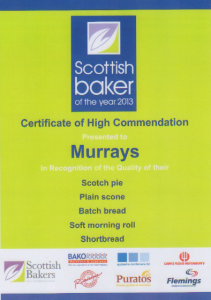 “Murrays Bakers have always been proud of our long traditions, and of being part of the Scottish baking industry. 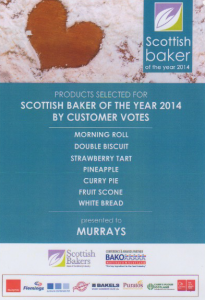 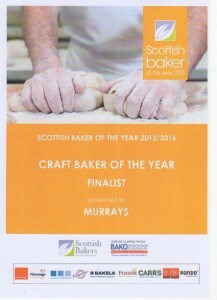 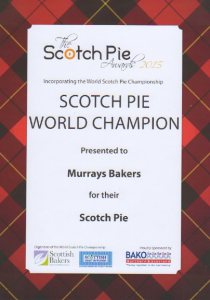 As such, Murrays has always been member of Scottish Bakers, previously known as Scottish Association of Master Bakers. Please visit us at 114 South Street, Perth where we can introduce you to our award winning scotch pies and our mouth watering pineapple cakes.